For generations, ethnologists were the primary authors of publications on Southwestern Native American art. Today, these books, often featuring rare and valuable “shock and awe” collections housed in Southwestern museums, have propelled the market for antique Navajo textiles and the production of knock-offs. This has triggered a decline in the number of retailers and collectors acquiring contemporary creations, thus contributing to the impoverishment of weavers today. In this blog post, I discuss the unsettling disconnect between the high value accorded Native American antiquities and the low value attached to contemporary Native American wares. By 1800, the large handwoven Navajo shoulder or wearing blanket had become the most valuable trade item in an extensive intertribal network (Hill 1948), and was acknowledged as “the mother from which all external trade developed” (Van Valkenburgh and McPhee 1974:42). The Navajo, also known as the Diné, were pastoralists for centuries, and weaving, wool production, livestock, and horticulture provided subsistence into the early 20th century. In 1864, the federal government drove over 8,000 Navajo from their ancestral homelands, and incarcerated them at Hwééldhi (Bosque Redondo), in eastern New Mexico territory. One-third of the population perished from starvation and disease. In 1868, a treaty was signed and a reservation was created from a portion of their former homeland. Today there are an estimated 250,000 Navajos, occupying an 8,000-hectare reservation in the southwestern United States. After the formation of the reservation, the federal government licensed traders to buy and sell Navajo products. Lorenzo Hubbell (1853–1930), of Spanish and Danish descent, is considered the czar of trade and the father of the Navajo rug. Hubbell and his sons shipped over 200 tons of hand-spun woven textiles between 1893 and 1909. When Hubbell’s Ganado, Arizona, trading post was acquired by the Park Service in 1967, to be developed as a National Historic site, park personnel discovered a staggering amount documents including a century’s worth of ledger books, business and personal correspondence, and photographs (1867–1966). In my 2002 book, Swept Under the Rug: a Hidden History of Navajo Weaving (at right, University of New Mexico Press, 2002 & 2008), I analyzed some of Hubbell’s business records and explored how the financial success of traders and regional wholesalers, like Hubbell, was based on the growing impoverishment of thousands of Navajo families. Generations of scholars have misrepresented the escalating productivity of Navajos in the wool, livestock, and textile markets by portraying Navajo weavers as “cultural performers,” labouring in an economic vacuum. My current book project (Working title: Why the Navajo Blanket Became a Rug: Excavating the Lost Heritage of Globalization) draws on a half dozen untapped archives in order to position weavers and woolgrowers within a competitive, international commercial context. I discovered that, by 1890, Diné were the only growers raising sheep that produced Class III coarse carpet wools, less than 2% of the amount required by the carpet mills. Because of the lack of homegrown coarse wools, carpet manufacturers successfully lobbied Congress for the removal of high duties on imported wools intended to protect the domestic industry. Thus, Diné weavers became entangled in major transformations occurring in agriculture and textiles as the United States transitioned from an agrarian market society to a modern industrialized state. Locally-produced rug values were pegged to duty-free carpet wool values, and marketed by weight through the 1960s (M’Closkey 2002). Traders used weaving as a profitable means to market the low-valued wool clip. They graded, bundled, and wholesaled textiles by the pound, along with such other commodities as wool, goat skins, and sheep pelts. The ideology of weavers as “domesticated housewives,” based on the gendered spheres of productive waged labour and nonproductive, non-waged housework, masked the relations that link weavers’ productivity to tariff revisions legislated by Congress. As a result, thousands of “Navajo housewives” effectively subsidized the trading post system for decades, since Diné wools were in competition with carpet wools globally. 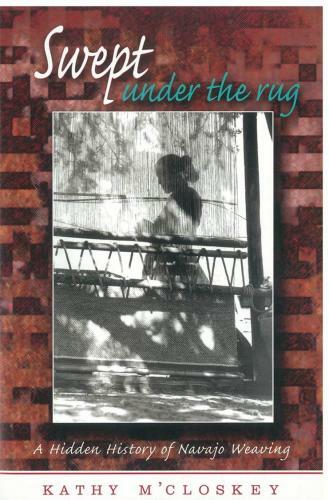 Weavers’ participation in the seemingly “informal” economy translated into invisibility. In 1987, anthropologist Gary Witherspoon conservatively estimated that over 100,000 Navajo women had woven more than one million blankets and rugs over the past two centuries. Although women’s textile production was valued at $1 million annually by 1930, providing one-third of the reservation income, weavers were never integrated into development planning within the Navajo Nation. At right, Navajo relations (Swept Under the Rug, pg. 18) . Not only have weavers’ economic contributions been airbrushed from the historical record, but until very recently many scholars (Witherspoon is an exception) failed to recognize the crucial role that weaving played in relation to cultural survival (M’Closkey 2002, Willink and Zolbrod 1996). Dozens of weavers substantiate its importance, revealing the centrality of weaving to Diné lifeways, as they interleave cosmology and history during personal interviews. Many historic Navajo textiles fetch very high prices in today’s volatile art market. Sales increased exponentially after the first exhibition of historic Navajo weaving, with textiles borrowed from the collections of twenty famous contemporary artists in the early 1970s (Kahlenberg and Berlant 1972, M’Closkey 2002:Chapter 6). An estimated $100 million worth of historic weaving has changed hands since that time. For example, after entertainer Andy Williams passed away in 2012, his collection of textiles (Hedlund 1997) was auctioned by Sotheby’s. One item, a Navajo double saddle blanket, was appraised at $2,000, but sold for $13,000. The Hubbells had jobbed similar textiles for $4.00 each during the Depression (M’Closkey 2002). Conversations around the value of historic weaving generally focuses upon specific textiles, their provenance and pedigree, while ignoring systemic and severe economic problems, both past and present. The stories of the makers of these historic textiles that now bring so much money have literally been “swept under the rug.” Evidence of the conditions endured by weavers in order to provision their households historically exists in government and university archives, but receives scant attention while museologists continue to “order, dissect and classify” the historic textiles. To date there is no response from ethnologists concerning this issue (M’Closkey 2012). Scholars, collectors and dealers —all elite stakeholders—have benefited, to the detriment of the descendants of the original creators. 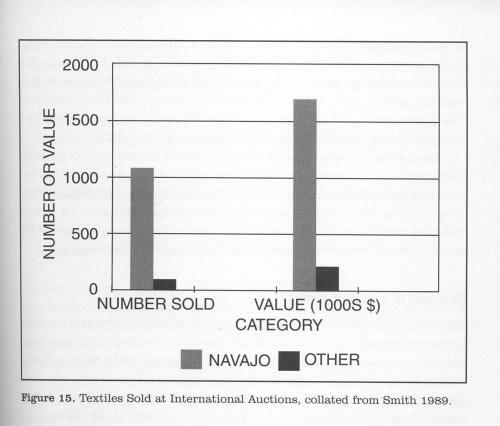 At right: Textiles Sold at International Auctions (Swept Under the Rug, p. 177). Ethnologists and museum professionals continue to support (sometimes inadvertently) the commercialization of Native American antiquities (Merrill et al. 1993). 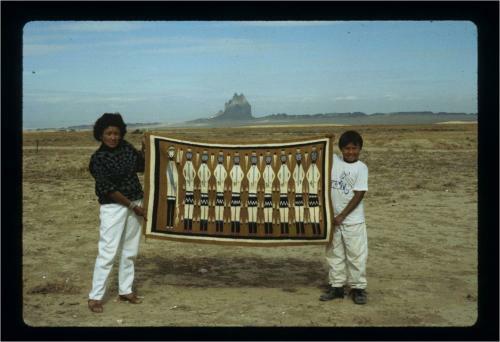 In 1989, anthropologist Suzanne Baizerman (1989) wrote about the growing interest and shift in the types of publications produced on historic Navajo weaving. As she noted, “Some museum curators and anthropologists became dealers, and some dealers received training in anthropology...it is evident that the museum is the center of publishing on historic textiles and the trend is getting stronger.” Baizerman also remarked on the connection between the surge in the value of historic weaving, and the fact that dealers and collectors increasingly serve on museum boards: “Publications are important, to establish authority and expertise and to provide the publicity necessary to help sustain the value of the product...the rise in the number of publications on Navajo textiles correlates with the rise in their monetary value” (M’Closkey 2002:177). Today much of weaving “history” is recited by collectors and dealers from coffee-table books authored by museum scholars. These over-sized texts are packed with glossy colour plates featuring old textiles from museums’ collections. These books not only serve as templates for production of “knock-offs” abroad, but drive the lucrative market for textiles sold by antiquities dealers for thousands of dollars at international venues, galleries, and on the Internet. 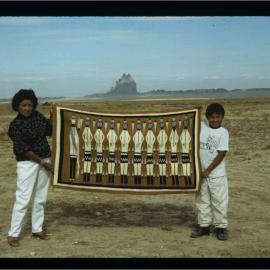 Thus, the extraordinary production of thousands of Navajo weavers historically, propelled by the dire consequences of free trade, now threatens the market for rugs created by more than 20,000 contemporary Navajo weavers The vigorous and growing market for pre-1950 “collectibles” has greatly undermined the market for contemporary works. By sustaining the “culture of connoisseurship” of the up-scale antiquities dealers, gallery owners, and collectors in Santa Fe and Taos, some museums inadvertently contribute to the impoverishment of contemporary artisans. Mary and Darcy John, Shiprock, Navajo Nation, New Mexico, 1993 (photo by Kathy M'Closkey, used with permission). Objects in museums are living entities. They embody layers of meaning, and they are deeply connected to the past, present, and future of Indigenous communities. Every engagement with objects in museum cases or in collections rooms should begin with this core recognition. We are not just looking at interesting pieces. In the presence of objects from the past, we are privileged to stand as witnesses to living entities that remain intimately and inextricably tied to their descendant communities. In this essay I’ve revealed the unsettling disconnect between the high value attached to historic Diné textiles, and the low value attached to their context of production. 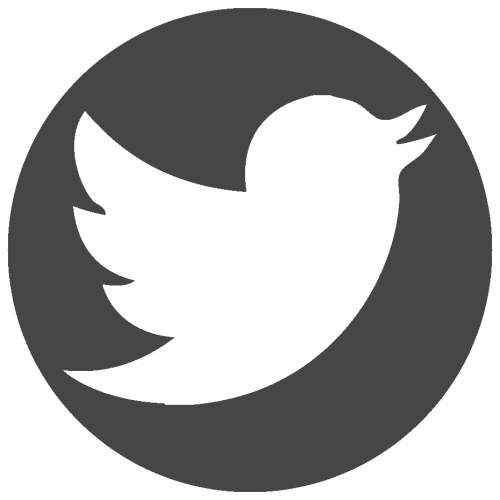 Although we are accustomed to thinking of art as a significant complement of civilization, it is unusual for ethnographers and museum scholars concerned with cultural preservation to think of collections as potential vehicles of cultural fragmentation. Yet, as Isleta carver Andy Abeita (2006) remarked, “due to massive appropriation, craft production, a crucial aspect of cultural preservation, is being driven to oblivion.” Thus it behooves us to “mind the gap” and work to resolve the contradiction whereby commodification of material culture trumps cultural survival. Abeita, Andy. 2006. “Pressing Concerns for the Future of Authentic Native American Arts and Crafts.” Navajo Studies Conference, University of New Mexico, Albuquerque. Baizerman, Suzanne. 1989. “The Study of Material Culture: The Case of Southwest Textiles.” The Legacy of Kate Peck Kent. Museum Anthropology 13:14-18. Hedlund, Ann Lane. 1997. Navajo Weavings from the Andy Williams Collection. St. Louis Art Museum. St. Louis. Hill, W. W. 1948. 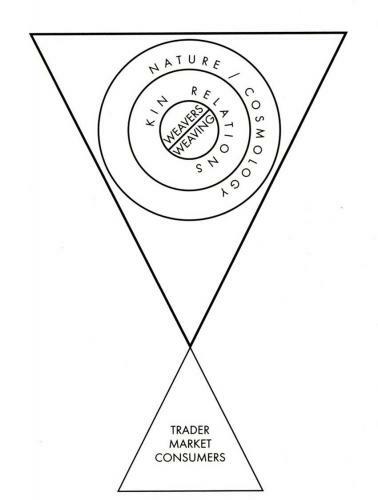 “Navajo Trading and Trading Ritual: A Study of Cultural Dynamics.” Southwestern Journal of Anthropology 4(4):371-96. Kahlenberg, Mary Hunt and Tony Berlant. 1972. The Navajo Blanket. Praeger, New York. Lonetree, Amy. 2012. 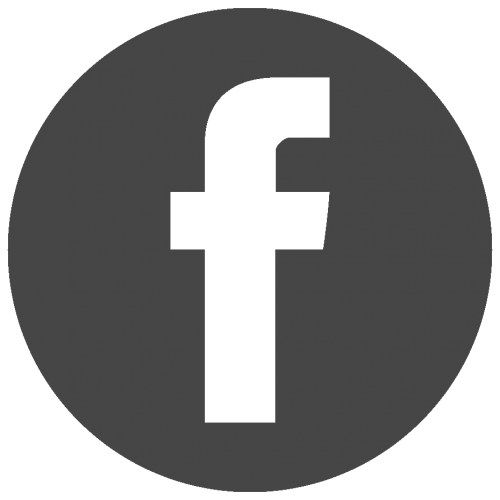 Decolonizing Museums: Representing Native America in National and Tribal Museums. University of North Carolina Press, Chapel Hill. M’Closkey, Kathy. 2012. “Up for Grabs: Assessing the Consequences of Sustained Appropriations of Navajo Weavers’ Patterns.” In No Deal! Indigenous Arts and the Politics of Possession, edited by Tressa Berman, pp 128-54. Press, City? — 2002. Swept Under the Rug: A Hidden History of Navajo Weaving. University of New Mexico Press, Albuquerque. Reprinted in paperback 2008. McLoughlin, M. 1999. Museums and the Representations of Native Canadians: Negotiating the Borders of Culture. Garland, New York. Merrill, L. W., J. Edmund Ladd, and T.J. Ferguson. 1993. “The Return of the Ahaya:du: Lessons for Repatriation from Zuni Pueblo and the Smithsonian Institution.” Current Anthropology 34:523-67. VanValkenburgh, Richard and John McPhee. 1974. A Short History of the Navajo People. Garland, New York. Weigle, Marta and Barbara Babcock (eds.) 1996. The Great Southwest of the Fred Harvey Company and the Santa Fe Railway. University of Arizona Press, Tucson. Willink, Roseanne and Paul Zolbrod. 1996. Weaving a World: Textiles and the Navajo Way of Seeing. Museum of New Mexico Press, Santa Fe. Witherspoon, Gary. 1987. “Navajo Weaving: Art in its Cultural Context.” MNA Research Paper no. 36. Museum of Northern Arizona, Flagstaff. Kathy M’Closkey is Adjunct Associate Professor in the Department of Sociology, Anthropology and Criminology at the University Of Windsor. She is an IPinCH Associate.